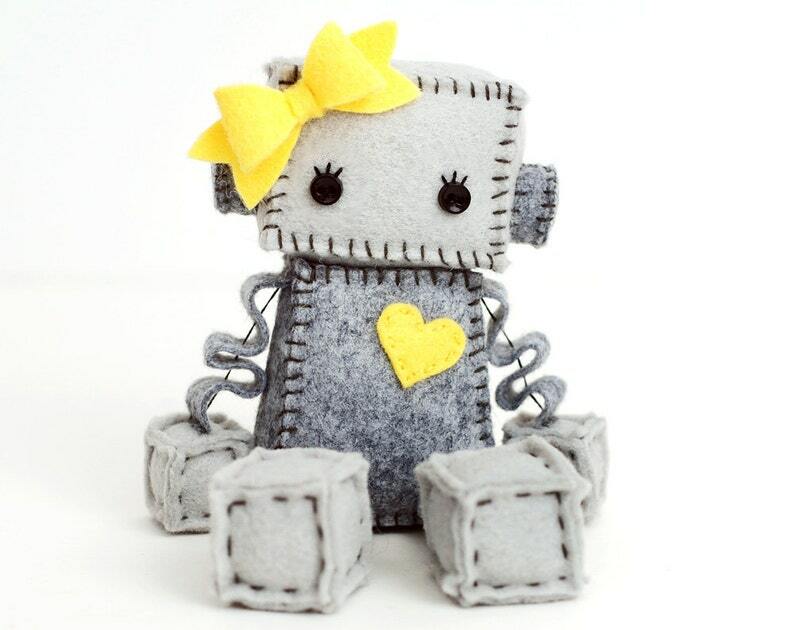 This sweet little felt stuffed robot has a cute bow and a heart in your choice of custom color. Take a look at the last image for color options. Only one word: ADORABLE! I used this little one as decoration for a robot themed baby shower and the mother to be absolutely loved her. She's a bit small for the price, but again, it was just too precious and incredibly well made. She arrived in no time with very little notice so I was also very thankful for that - excellent customer service. I absolutely love my little robot! She is so adorable - even more adorable in person than in the pictures. I am so happy with my purchase!